THOUGHTSKOTO Thoughtskoto : 7 Things You Need To Know About National ID System! 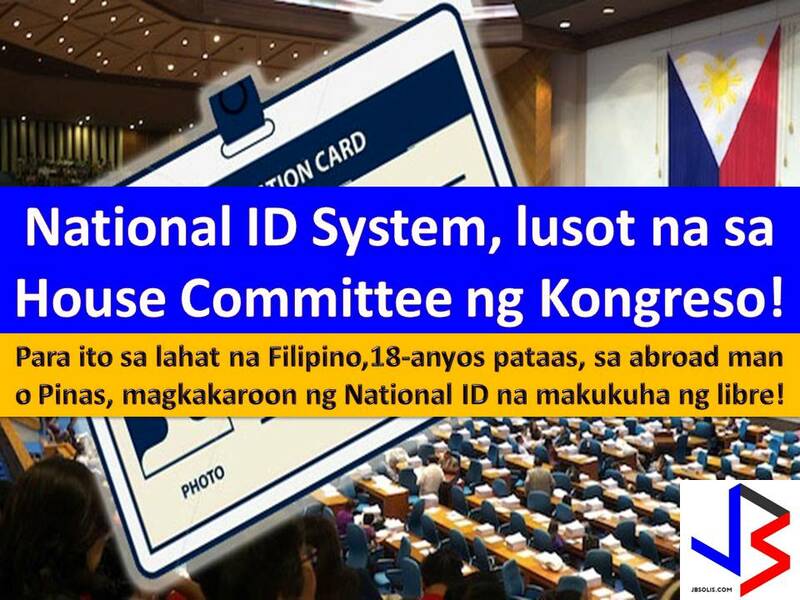 The House Committee on Population and Family Relation approved the Filipino Identification Act, a bill that seeks to establish the national identification (ID) system for all Filipinos, in the country and abroad. Under the bill, all Filipinos residing anywhere in the world should register their personal information into the central system. The Philippine Statistics Authority (PSA) will be the agency to manage the central system that will issued a non-transferable national ID card with a number that shall be valid for life. For Filipinos residing or working abroad, all they need to do is to register themselves in the nearest Philippine embassy or consular office in the country where they are staying. 2. It will serves as official document to be honored in transactions with national government agencies, local government units, government-owned or controlled corporations, and government financial institutions. 3. The ID should contain fingerprint information and a common reference number. 4. The ID may be used for applications for passport, driver's license, Social Security System, Government Service Insurance System, Philippine Health Insurance Corporation (PhilHealth), Home Development Mutual Fund (Pag-IBIG), and the National Bureau of Investigation. 5. The national ID card may also be used to identify voters, schools, and employees, as well as to avail of senior citizens' benefits. 6. It may also be used for court, prosecutor, and police clearances, and in banking and financial institutions. 7. The national ID will be free but payment is needed for those who needs re-issuance. Under the bill, the ID will be mandatory to all Filipinos ages 18-years old up. According to reports, there are only nine countries in the world who left without national ID system, and the Philippines is one of them. Up to two years of imprisonment and a fine of P50,000 to P500,000 will be waiting for those who will give false personal information in the national ID. The bill will be brought to the plenary for the 2nd reading.